Education is the first step to breaking free from violence. As a college graduate and emergency room nurse, I might be expected to have some knowledge of domestic violence. This assumption is far from the truth. My education didn’t prepare me to spot early signs of domestic abuse. This lack of knowledge made it easy to ignore the red flags in the early phase of my relationship. Xavier (a pseudonym for my ex-husband), had ongoing conflicts with his family and friends. It seems he blamed them for these conflicts and did not take responsibility for his erratic actions toward them. He believed they were responsible for making him angry. He lacked the ability of how to explain his hurt to others and was unaware that the suppression of those feelings might contribute to his behavior. In the early phase of our relationship, Xavier created an environment of distrust. For example, he would make comments like, “You can’t trust anyone” or “They’re out to get you.” This suspicion included the people we knew. According to him, my female friends were “hitting on him” and couldn’t be trusted. When they came to visit, he was cold toward them; he ignored them or would even leave the house. As a result, they felt uncomfortable and stopped visiting. I wish I knew then that his purpose in sowing distrust was to physically and socially isolate me from my friends and family. With no support system, I would have to rely on him for physical and emotional sustenance. Even though he did not want me to trust others, he expected me to trust him. To create that trust, he said it was essential that we have no secrets from each other. He wanted to know about my childhood and past relationships. He would tell a few of his encounter with his old girlfriends to lure me into sharing details of my past sexual encounters. Little did I know that exposing my deepest secrets would become a tool to shame me later in the relationship. I wish I knew at that time that revealing secrets shouldn’t be a criterion for establishing trust. Trust requires time to develop, and emotional security is a must. When driving, he exhibited frequent road rages. If a driver cut in front his car, he would become aggressive and use abusive language, or intimidate the driver by tailgating him to force him out of the lane. His road rages created fear and anxiety in me. I was afraid that he might cause an accident and harm us both. Some might say that these types of behaviors are common. But when they are used to intimidate and manipulate others into submission, they become psychological abuse. Another red flag was his rushing the idea of marriage. After only a few months into the relationship, he asked me to marry him. Since we lived in different states, I had few opportunities to get to know him well. Often a woman might think that receiving frequent calls or texts from her partner is a sign of his affection for her. But wanting to know where she is all the time is being possessive. When he monopolizes her time and is jealous of her friendships, then that should be a cause for concern. Other signs of concern are when he is overly attentive to meeting her needs. For example, fixing things around the house without her request, cooking her dinner, embellishing her with flowers, she comes to believe he is madly in love with her. But, when these behaviors are “too good to be true,” beware! There is a possibility his actions are a way to manipulate her for control. Most women are unaware of these red flags, or they may feel that something is wrong but ignore their intuition. When something doesn’t feel right, the woman should give careful thought to those feelings. When she senses that her moral conscience is being violated, the relationship is not right! 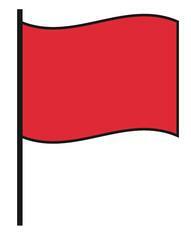 It is important that we are aware of these red flags. I want others to recognize the red flags so that they can make an informed decision to stay away from relationships that have the potential to become abusive. An old cliché states that “An ounce of prevention is worth a pound of cure.” Stay away from a relationship that has the potential to become abusive, or else you will have to deal with the physical and psychological consequences. If you are in a dangerous relationship, recognizing the red flags is the first step to getting help. What were the red flags in your relationship? My book, A Path to Hope: Restoring the Spirit of the Abused Christian Woman, was published more than a year ago. I had anticipated a significant audience, speaking engagements, and collaborating with others who are working with victims of domestic violence. What I didn’t anticipate was that I would be in a state where my purpose and mission was not defined, and experiencing difficulty navigating social media. I spent most of my time focusing on what others were doing and comparing their actions to what I was doing (or not doing). My hypercritical self-image led to feelings of disappointment and defeat. I tell myself that I don’t want to be like everyone else, yet I am not sure of what my particular role is. I know what I don’t want to do. For example, I don’t want to spend all my time to have to advocate to change the laws for abuse victims. I would also prefer not to engage in intellectual or biblical debates about what the scriptures say about abuse. And yet I do want to be the abused woman’s voice, to be her advocate within and outside the church. The question is, How? As I self-reflect, some questions demand answers. Questions like, “Why did you write a book?” “Why are you willing to share your heart with the public?” “Are you ready to risk your privacy and the privacy of your children?” These questions might seem simple at first, but the emotional strength that is required to answer them is overwhelming. To answer, I will have to expose a part of my inner being. I believe that my answers should overcome the emotional risks and inspire me to stand firm even when life becomes overwhelming. The answer is that my core values, which include my beliefs and my desire to make a difference, should serve as a catalyst for my actions. I believe that every woman who is experiencing domestic violence has the moral and legal right to protect herself and her children against violence. I also believe that she has the God-given power to bring about change. Her power lies in her decision to break free. I also believe that education is a powerful tool for change. For the woman of faith, education includes understanding the interpretations of her religious scriptures. Understanding the dynamics of domestic violence and its physical and psychological impact was critical in helping me seek change. Studying the scriptures empowered me to change my perception of the abuse, which led to the conviction that God does not want me to be abused. To return to the question, why did I write A Path to Hope? The answer is, I did it to educate female victims of violence and help lead them to God for emotional and spiritual healing. I also wanted to encourage them to have a voice within their faith communities. Too often, women and girls who are experiencing violence do not have a voice. (I realize that men are also victimized, but my primary focus is on women.) Their voices are suppressed by the abusers and their communities, but when they learn about the dynamics of violence and tell others their stories, their voices will be heard. They will be catalysts for change. With united voices and God as the focus of their interactions, change is bound to happen. I wish to see this vision come to pass. 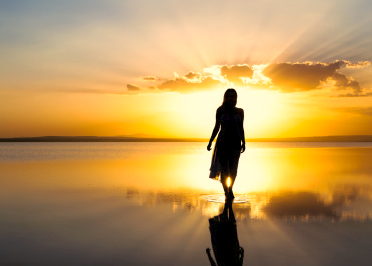 As part of making my vision a reality, I am going to write a series of blog posts called, “I Wish I Knew Then What I Know Now.” They are based on my journey to find clarity and understand the dynamics of domestic abuse and how the scriptures helped me to break free. I am passionate about sharing my story because I want others to know that they, too, can break free. “All praise to God, the Father of our Lord Jesus Christ. God is our merciful Father and the source of all comfort. He comforts us in our troubles so that we can comfort others. When they are troubled, we will be able to give them the same comfort God has given us” (2 Corinthians 1:3).